This week's eye spy theme brought to you by Cindy herself! We have those exact same Domo figures! The stocking is adorable. 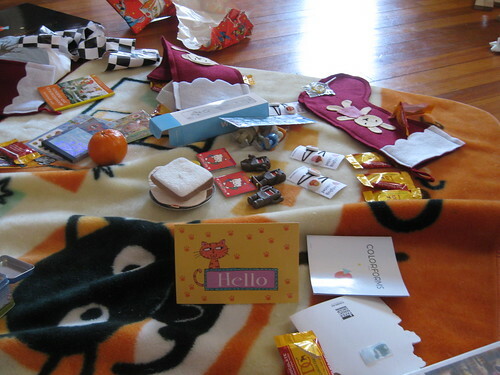 I'm assuming it's your creation, as well as the sandwich and I am coveting the Chococat blanket. Hope you all had a very happy Christmas.